Nigel Farage has ruled himself out of the latest leadership election, saying that mounting a comeback would be premature. Although the decision will be a disappointment to many he is right to point out that after three times as leader it's becoming a bit of a joke. 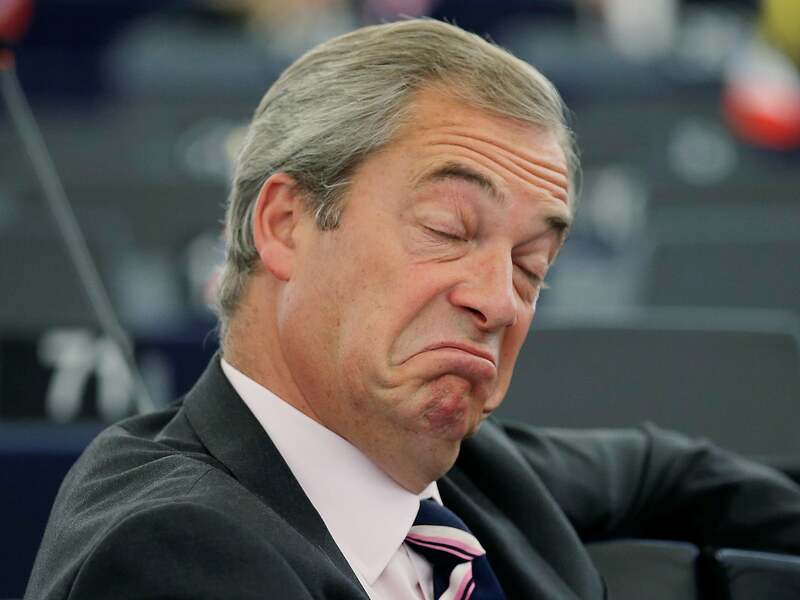 We are the UK Independence Party, not the Nigel Farage Party and although he is by far the most successful politician to never make it to Westminster we have to move on under someone else's leadership. We've had a couple of false starts but with the right leader we will rediscover our success of the last few years without Nigel at the helm. The best way to protect Nigel's legacy now is to get behind the party and its next leader. We have to make sure we get a real Brexit and provide an effective opposition to Labour and the Tories and that's only going to happen with a successful UKIP.